Time, the fourth dimension of our existence, threads through the whole Fall 2015 issue as its unifying motif. The third quarter of 2015 is thorny with developments. 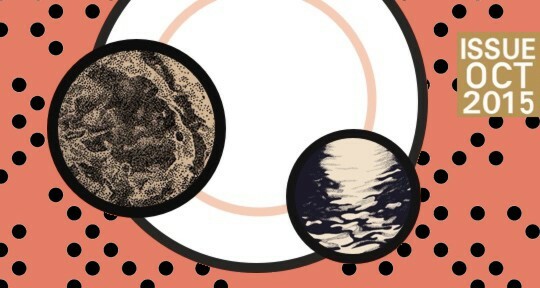 On July 31, we announce the second edition of our international translation contest judged by Michael Hofmann (Poetry), Ottilie Mulzet (Fiction), and Margaret Jull Costa (Nonfiction—a new category), this time awarding a total of $4,500 in prizes. Technical Manager József Szabo (also one of the editors behind the fabulous Tumblr blog Writers No One Reads) completes a laborious site migration that has taken almost two years. Our website is now both adaptable to mobile devices and optimized for search engines. On October 1, I receive an invitation from The Guardian initiating a partnership that would see Asymptote simultaneously running our blog’s Translation Tuesday articles on their site for 76 weeks, starting from October 27. (Of the 11 Guardian Books Network Members announced on October 21, we are the only magazine dedicated to translation and also—I can’t help noting—the only one from Asia.) This turns out to be the first of three partnerships that we formalize in October (the other two being with PEN America and Lithub), all three of which we announce proudly via our first-ever Fortnightly Airmail, launched on October 29, thanks to then Communications Manager Matthew Phipps and then Graphic Designer Berny Tan (who valiantly turns around a new newsletter design within 24 hours after I veto the first). This inaugural newsletter doesn’t yet spotlight PEN/Heim grant winners (the first boatload of these would arrive on November 13). Instead, it carries Jennifer Croft’s essay “When the Author You Translate [i.e., Olga Tokarczuk] Gets Death Threats,” which Lithub republishes on their website on November 2. (We would also go on to be the first to excerpt Olga Tokarczuk’s 2018 International Man Booker Prizewinning Flights in our Winter 2016 edition before it hit bookstores anywhere.) October 2015 also ushers in our first-ever virtual event featuring Mexican author Albert Chimal’s “The Time-Traveller.” Originally composed in Spanish as a series of tweets, the English translation by George Henson, which also respects Twitter’s character limit of 140, is published twice: first, as a headliner in our Fall 2015 issue, and then via our English Twitter channel as a long string of tweets pushed out (by then Marketing Manager David Maclean) to the world over a span of 40 hours. If you were there for the tweetathon, thank you for being a part of the work. Here to introduce our Fall 2015 issue is Hong Kong editor-at-large Charlie Ng Chak Kwan. If I were able to travel back to 2013 and meet my younger self, I would enthusiastically tell her that she was about to become part of a community devoted to breaking cultural and linguistic borders in the literary world and that she would never regret joining a journal whose mission was translating and publishing works written by people far and wide. It is unbelievable that I have now been a Hong Kong Editor-at-Large for Asymptote for more than five years. 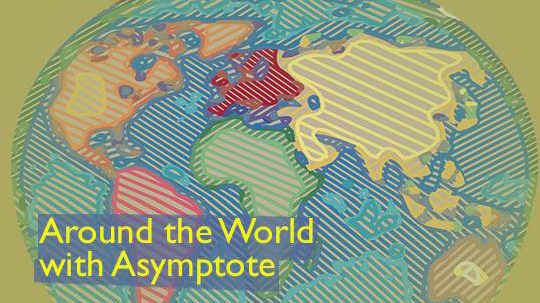 The many issues of Asymptote have seen me face a few life hurdles—graduating from my Ph.D., securing my first job as a translator, and becoming a full-time university teacher—and still I stay with Asymptote. Time definitely changes a lot of things—for good or for bad—but the ever-expanding archive of Asymptote tells me there are some things that remain constant, like the journal’s perseverance.